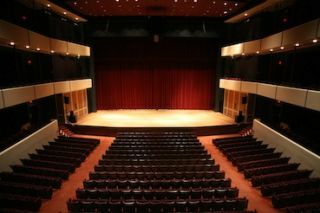 Clear-Com, a global provider of critical voice communication systems, is providing the University of Minnesota’s School of Music’s Ted Mann Concert Hall with improved efficiency in its production communications. The school’s theater recently installed a four-channel Clear-Com Tempest 2400 digital wireless system, enhancing production crew members’ communications during and between a variety of shows. The Tempest2400 is being used for production communication during various types of performances. These include performances by the choirs, bands, orchestras and other large ensembles. They also rely on the Tempest system when transitioning from one event to another. The music department’s previous wired communication system proved to be unsatisfactory in the concert hall because it prevented constant communication with all stage crew. The cables also hindered users’ movement and required frequent repair due to someone accidentally stepping on them. The Tempest2400 wireless intercom gives the crew freedom to roam, extended coverage, and an unlimited number of intercom users via the system’s Split and Shared Modes. In addition, since the Tempest2400 is designed with Frequency Hopping Spread Spectrum (FHSS) technology, it enables reliable, interference-free operation in the RF hostile areas of campus. This allows production crew members to deliver every cue with optimal clarity. Alpha Video, a digital video systems dealer, integrator and provider of visual communication solutions, as well as a Clear-Com Partner, supplied the university with the Tempest2400 system. Flexibility, user capacity, and widespread coverage along with Clear-Com’s solid industry reputation were key factors in the university’s choice to go with Clear-Com. The Tempest2400’s user-friendly interface and easy operations have also raised the bar on production crew efficiency. It is simple to configure and allows the crew to make quick changes to the intercom setup. A specific talk group can also be assigned to each of the four channels on the Tempest2400 to isolate communication between relevant parties. The main unit of the Tempest2400 is installed in the theater’s amp room, off of stage left. To maximize coverage, the crew has run a CAT-5 cable to the upstage area for the placement of a CCT-RT remote antenna. The Tempest2400 has helped the school’s music department’s annual Collage Concert, a non-stop concert showcase of the School of Music. The stage manager runs the show from an on-stage location, which requires her to move to different areas in the backstage to ensure that everyone is in the correct position. She must also be aware of the moving set pieces during the position transitions and alert other staff that performers are in position. The Tempest2400 system has allowed her to execute these responsibilities while staying abreast of when other stage workers are finished with their tasks.